The violin that was apparently played to calm passengers on the Titanic as it sank was sold for £900,000 in just 10 minutes at auction in Wiltshire. 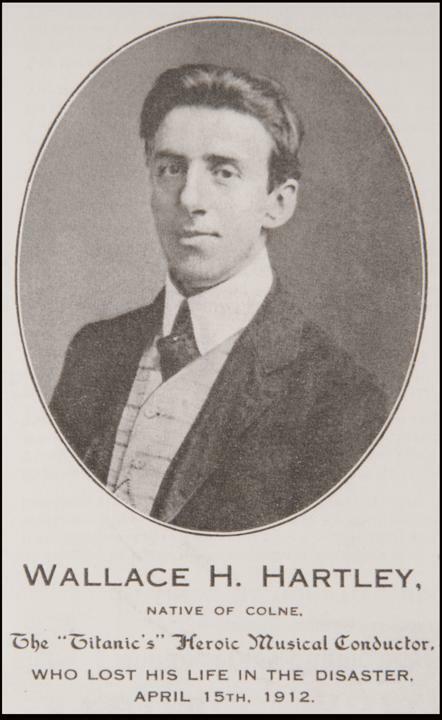 It was played by band leader Wallace Hartley, who died along with 1,517 others as the ship went down. It had a guide price of £300,000. 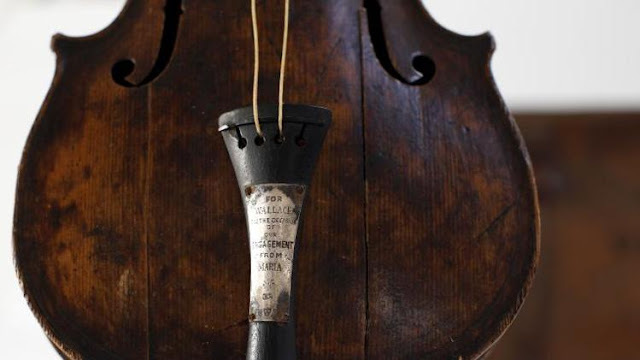 Mr Aldridge set the bidding at £50 for the violin, which was lot 230 of 251, so "two of his friends could bid" - but after just a couple of minutes it had passed £100,000. It eventually sold for £900,000 after fierce bidding between two telephone bidders. 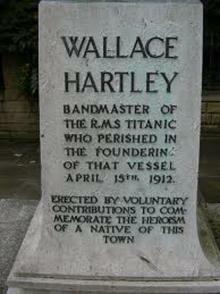 Hartley has become part of the ship's legend after leading his fellow musicians in playing as the vessel sank. They are famously said to have played the hymn Nearer My God To Thee. 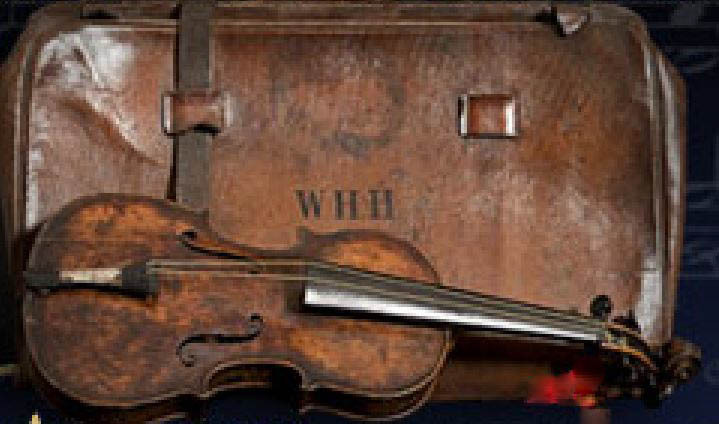 ... [I]t is claimed the violin survived in a leather case strapped to Mr Harley's body who was found wearing his cork and linen lifejacket. A diary entry by his fiancee, Maria Robinson, said it was saved from the water and returned to her. Following her death in 1939, the violin was given to her local Salvation Army citadel and was later passed on to the current anonymous owner's mother in the early 1940s. The auction house said it had attracted interest from collectors all over the world and added that more than 315,000 people viewed it during a three-month exhibition in the United States. See more images on the BBC site. Image Source: Branson Tourism Center. Memorial stone to the Titanic's band master. Image Source: The York Press. 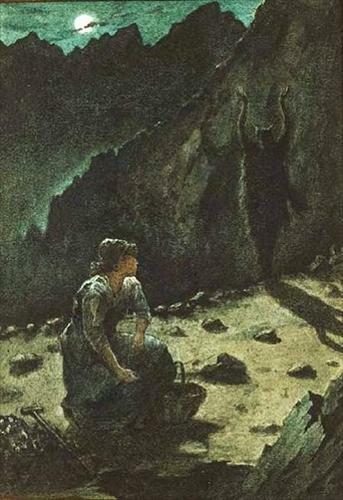 The Apparition on the Streckelberg (Illustration for Meinhold's The Amber Witch) aka Spirit of the Mountain (1895) by Sir Philip Burne-Jones (1861-1926). Image Source: ArtMagick. Today's post features some hypertext horror fiction games written with Twine software. You can download Twine for free here and write your own Millennial choose-your-own adventures. Because Twine is easy to use, it is accessible to amateur artists. Twine's hyperlinks promise to have a big cultural impact; the interactive form may possibly one day shake the novel from its preeminent position in the world of literature. The hyperlinked form of fiction is currently changing conventions around narrative, characterization, voice, plot, the sense of reality, genre, and other aspects of creative writing. WHO states that mental illness or disorders affect one in four people. It is something a great deal of the world live and cope with, yet are increasingly hesitant to reveal due to negative stigmatization in media, compounded by lack of general awareness about the variance and truth of suffering from a mental illness. Horror is usually derived from the unknown and what we do not understand— and mental illness is one of these subjects where the general public lacks knowledge and insight. Many horror games use the negative portrayal of those who suffer from mental illness as extremely violent or sadistic, usually as the villain or antagonist, as an easy crutch to rest their story, characters and motivations on. Asylum Jam is here to prove that we do not have to utilize a negative portrayal of mental health, medical professionals or medical institutes to create a good horror experience for a gamer! Before the Internet took off, snuff content was the ultimate taboo in entertainment. In 1999, the Nick Cage film, 8mm (see the trailer here), treated snuff as the most frightening subculture - the darkest underground beneath many undergrounds. Then the Web made it possible for almost anyone to visit these sub-basements, anytime, anywhere. What happens when that material goes mainstream, becomes part of a lifestyle, and hovers between the disconnected safety of the virtual, and a terrifying reality? There's a line in the movie, 8mm. Joaquin Phoenix's character says: "You dance with the Devil, the Devil don't change. The Devil changes you." Photo © Daniel Marbaix. Image Source: Facebook. The places Marbaix visits are sometimes still eerily furnished. When asked by followers how he finds these locations, he remarks: "Google is your friend." Who were these people? Why did they leave in such a hurry? What happened here? 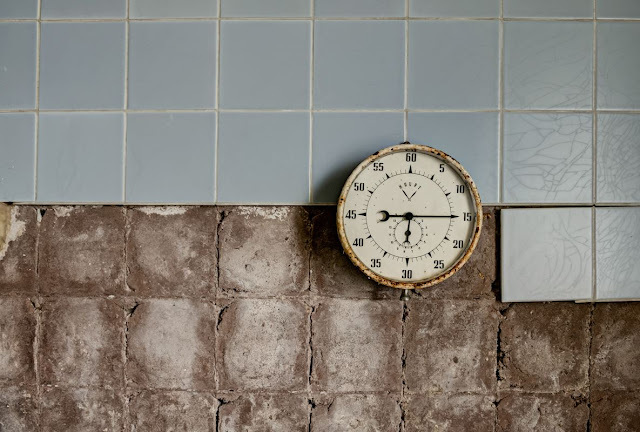 The once-grand house is badly dilapidated but its rooms still boast gorgeous fixtures and items inexplicably abandoned, suggesting a sudden flight from the home by its occupants. It's the sheer amount of items remaining in the home that shed a little light on who the occupants were. [Sixties' c]oats hang on hooks, their colors still bright and handbags of polished leather look ready to be slung over a woman's shoulder. [Marbaix] ... says little is known about the home, but he says the home has been abandoned for at least 20 years. 'It looks like most of the family were killed in a car accident (found head stones for them in the house) and the lady of the house died shortly after leaving everything behind from work stuff... to personal photos and kids paintings,' he told Reddit readers. Headstones - in the house? The details are sketchy. The house had fanciful posters of dressed female skeletons as one ascended to two examination rooms. There is a waiting room, or study, filled with books, and medical sample models of sliced human kidneys. 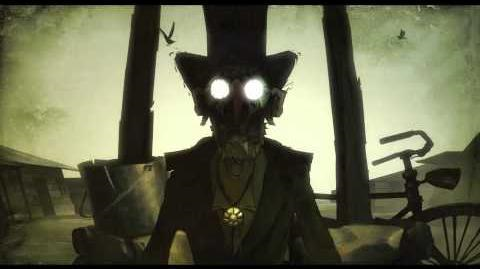 Still from The Backwater Gospel (2011). Image Source: Creepy Pasta. The Backwater Gospel is ... about a small town called Backwater that is in a bit of a predicament. Namely, whenever the local Undertaker bicycles into town, someone dies the same day. And not before he comes into town, either. One day, however, the Undertaker comes to town... and no-one dies. Not one person. The Undertaker simply sits on a bench and watches the townsfolk. The fear and uncertainty as to who will finally die sweeps across the town, and it's only a matter of time before someone snaps...It can be watched online. See the film below the jump.